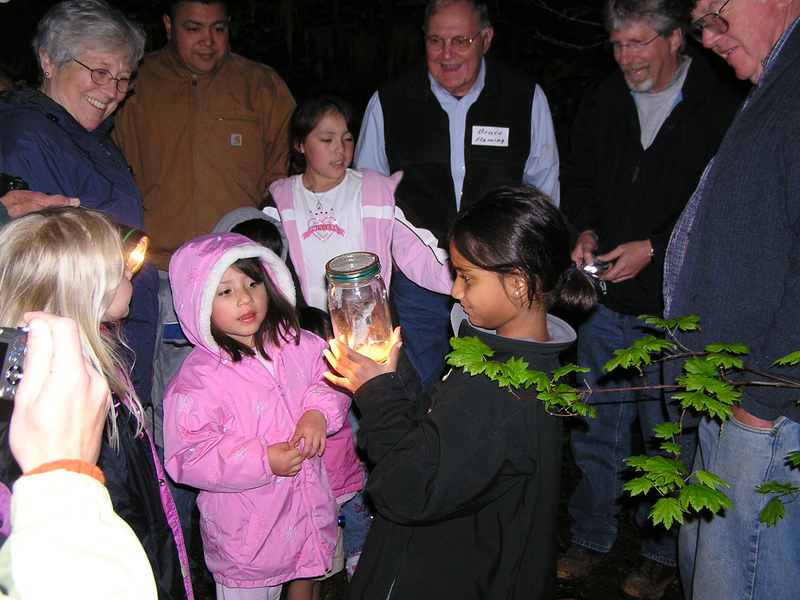 An eager and talented group of scientists, educators and nature enthusiasts visited Drift Creek Camp, Lincoln City, Oregon, on May 23-24 to identify as many organisms as possible within a 24-hour period of time. We were blessed with good weather and a team of experts in native plants, birds, insects, amphibians, reptiles, mushrooms, fish, mammals and photography and some inquisitive children. Over 200 species were identified including the marbled murrelet and western toad. Many of these expert naturalists have returned to DCC during other seasons to continue developing an inventory of the biodiversity in this late succession coastal rainforest ecosystem in the Siuslaw National Forest. We are using the information gathered and knowledge gained to enhance, enrich and expand the opportunities for guests of DCC to appreciate, respect and care for nature. You can view the results in a searchable database or static table with links to photographs. Please continue reading to learn more about this effort. You may use this link for a brief bio of many of these volunteers. We have maintained a list of the species identified during our 2008 bioblitz and added additional ones as the survey has continued. You will find the list at this link. We created printed a copy of this inventory for visitors to our Nature Information Center. You can view this booklet at this link. This 7 minute video filmed and prepared by Jennifer Gingerich will give you a good feel for our bioblitz event and those participating in it. You may view it at this link.